Many modern games focus on making their game intuitive and painless, but Dark Souls takes... well, a different approach. This game is notorious for its punishing difficulty. It's absolutely brutal and only the most tenacious of gamers can stomach it. Estus is the primary healing item in the game, and is therefore the Dark Souls player's best friend. 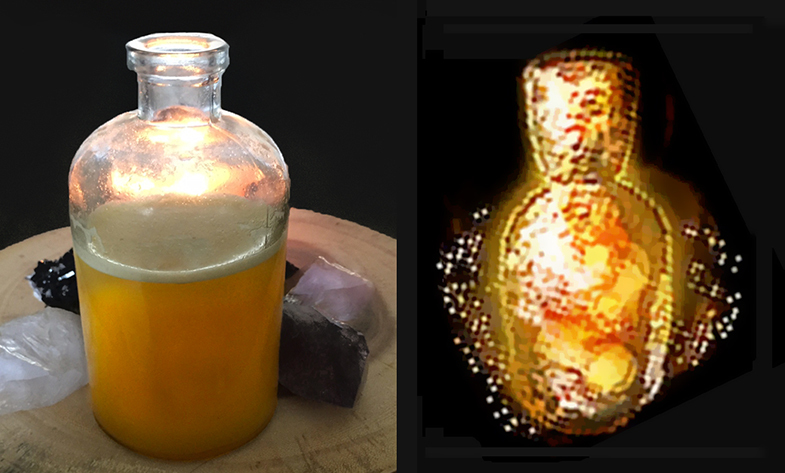 The taste of Estus is not described, but it looks like liquid sun/fire. I asked around what some Dark Souls fans thought Estus might taste like. I got various answers from"like molten lava" to "like Sunny Delight" I can't say what molten lava tastes like (no living person could), but, keeping these various responses in mind, I made an amalgamation of the citrus and fire responses that seemed to be common. 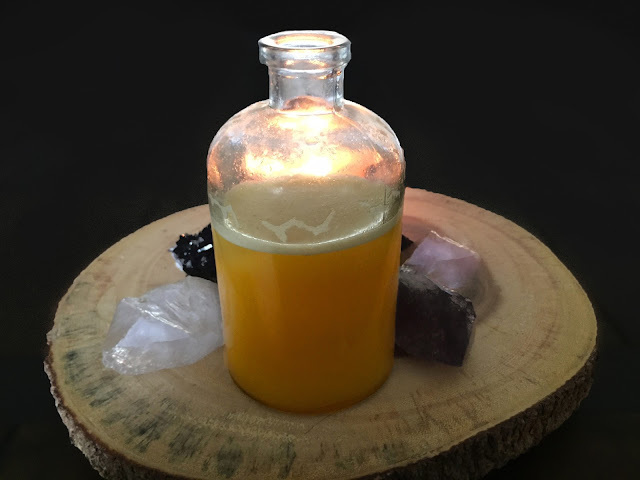 While battling certain death at every turn, enjoy this bright drink that burns yet refreshes! Praise the sun! 1) Blend orange juice, lemon juice, ice and whiskey in a blender. 2) Pour mixture into the serving bottle. You may need to use a funnel, depending on your bottle. 3) Top off with ginger beer and try not to die.